Disasters do not conform to an ideal schedule. They may happen when the entire family is home together or during a weekday when kids are at school and parents are at work. Aside from keeping yourself safe during a disaster, you will also be concerned about addressing the safety of your family members. Therefore, on top of having a disaster communication plan, you should include a means to reconnect with your family and more quickly get up to speed about their well-being. 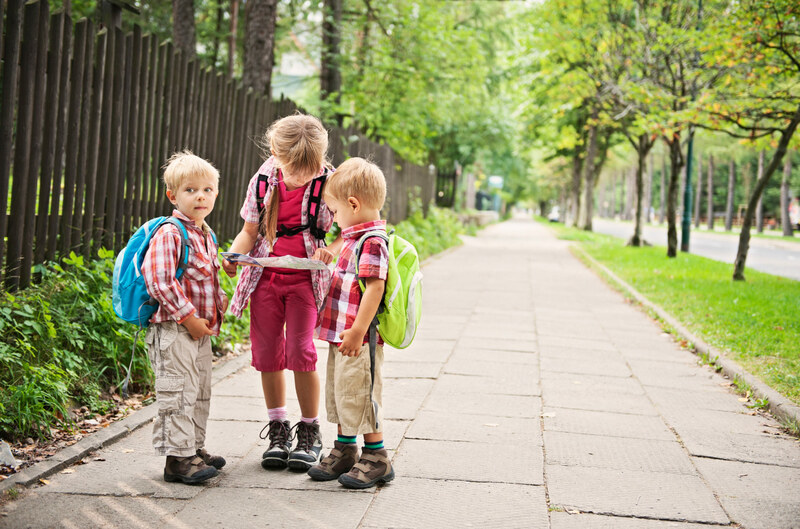 Have a family discussion to designate a meeting spot that is outside of your neighborhood. Consider filling out this contact form (provided by ready.gov/kids) and place a copy in each family member’s backpack, purse and wallet. The form includes all necessary contact numbers as well as a map to show the meeting location. 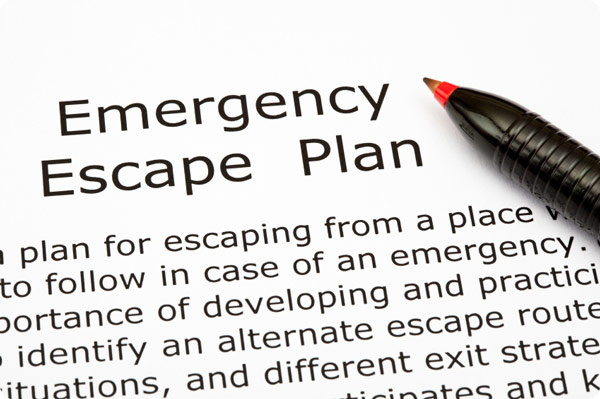 Seek out evacuation routes specific to your area when creating your meeting spot and map. In addition, it may be a good idea to include an alternate route in case the primary route is not available to travel. If you are at home when the evacuation time occurs, be sure to grab your emergency kit and take it with you. Keep it in a convenient location close to your exit path. Dependent upon the type of disaster, you may also have time to leave a note on where you are heading, so anyone arriving home after you leave will know where to find you. We recommend you inquire with your child’s school or daycare center to see if they have an emergency plan and what it involves. Find out how they will communicate with parents during emergencies and if they have an emergency kit that contains food, water and other necessary supplies. If they need to evacuate the building, where do they go? If you learn they do not have an emergency plan already in place, consider volunteering to help create one. Having a family discussion about emergency preparedness and where to meet can help prevent moments of panic when trying to reconnect during or after a disaster. 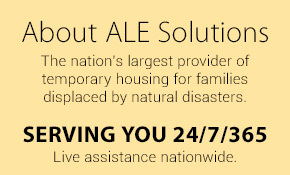 For more information about emergency preparedness or if you have been impacted by a disaster, contact ALE Solutions about housing options.